Taunton, MA - Three people were killed and two others injured Tuesday in attacks at a shopping mall and a home in Massachusetts, and the suspect was one of the dead, authorities said. 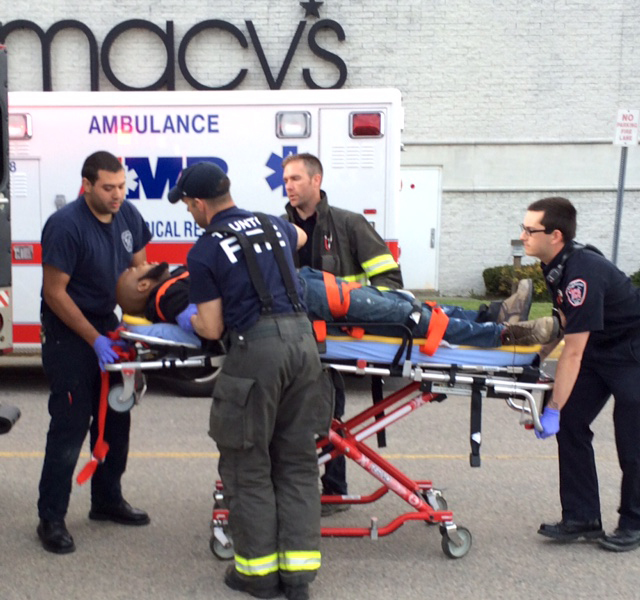 State police said a man stabbed two people at a Taunton home, then crashed a car through the front of a Macy’s store at the Silver City Galleria and stabbed two other people at the mall. An off-duty law enforcement officer fatally shot the suspect. Witnesses described a chaotic and violent scene. 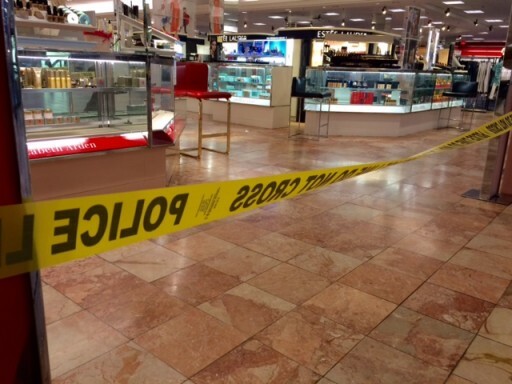 The stabbing victims were taken to area hospitals, where two later died from their injuries. It’s unclear which victims died. Justin Pizarro, 19, told the Boston Globe that he was working at a store in the mall at the time of the stabbings. He told the newspaper that a security guard told him to close the gate of his store. Taunton is about 40 miles south of Boston. Silver City Galleria is a regional mall offering 130 specialty stores, sit-down restaurants and a movie theater. In Israel when they shoot and kill a stabber, you never hear the end of it. Looks to me like a Muslim. America's is getting freakier and freakier place to live with so many unhinged nutcases and terrorists killing and wounding people every other day. If the suspect was shot and killed, why does the pic above show him being loaded onto a gurney and not into a body bag? Secondly, if he is the suspect, he has the bearded appearance of a Muslim. What a tragedy - and it will be old news by lunch. HaShem yerachem. The America as we knew it...the America that I grew up in is OVER! How can u live a normal life looking over u our shoulder every minute? No worldwide condemnation that the off duty officer acted disproportionately by killing the stabber? Oh I forgot, that only happens when Israelis do that. “ How can u live a normal life looking over u our shoulder every minute? I really don't think we are there yet. Visit other countries and you will see real danger. Chochom, he might have died after the picture was taken.